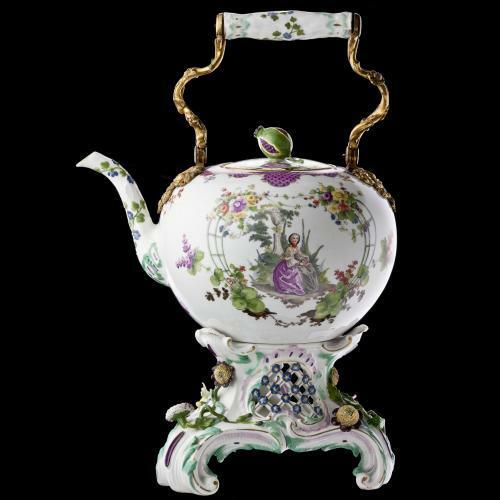 This teapot was made at the Meissen porcelain factory in 1735 to designs by the modeller Johann Joachim Kändler. 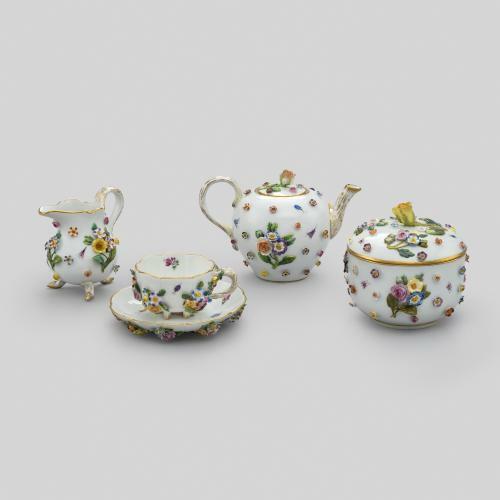 Fredrick Augustus I, the Elector of Saxony and founder of Meissen, appointed Kändler as his court sculptor in 1730 and one year later he became a porcelain modeller for Meissen. 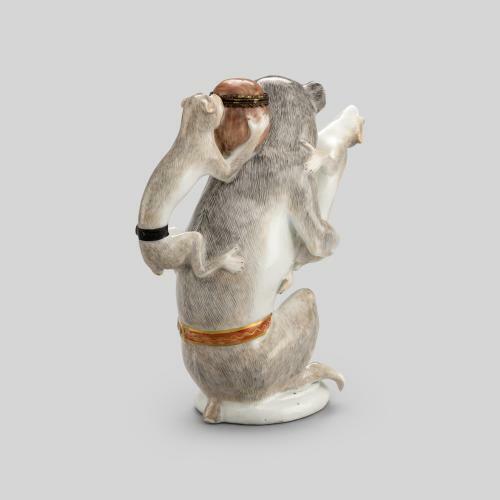 Some of his most spectacular works were models for large white birds and animals for the Elector’s Japanese Palace in Dresden, which housed his extensive porcelain collection. 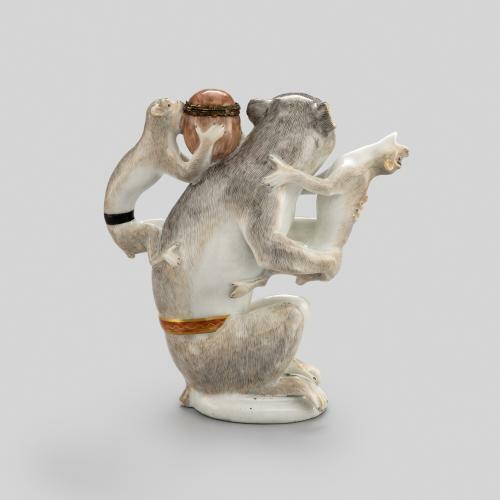 However, these animals were difficult and expensive to produce leading Kändler to focus on smaller pieces, including figures and groups such as shepherds, huntsmen and monkey musicians. 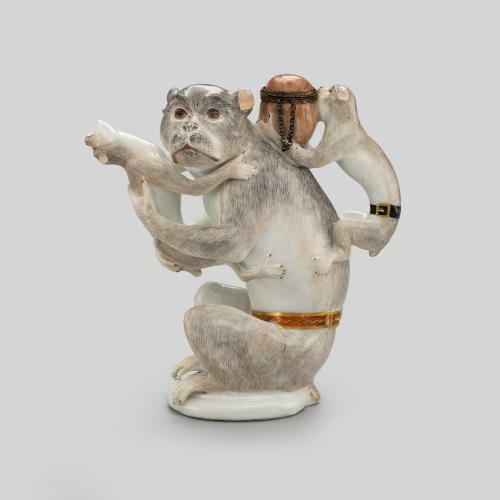 This monkey-shaped teapot is almost certainly inspired by the same design source as an Augsburg silver gilt monkey trinkspiele which is also in the Chitra Collection (CCN.225), although there are some subtle differences. 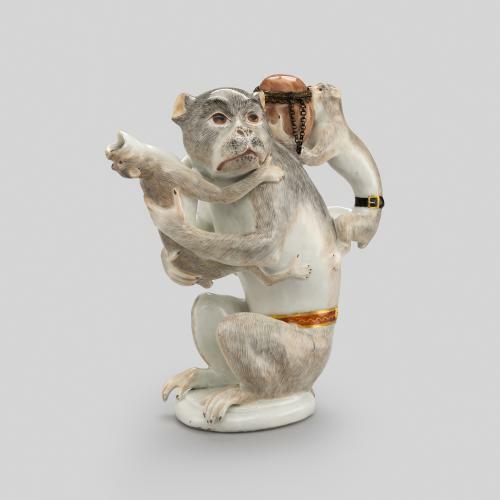 On the trinkspiele, the young monkey on the mother’s back holds a fruit, while on this version it takes the shape of a nut. This teapot was previously in the collection of His Royal Highness, 1st Duke of Windsor, formerly King Edward VIII. 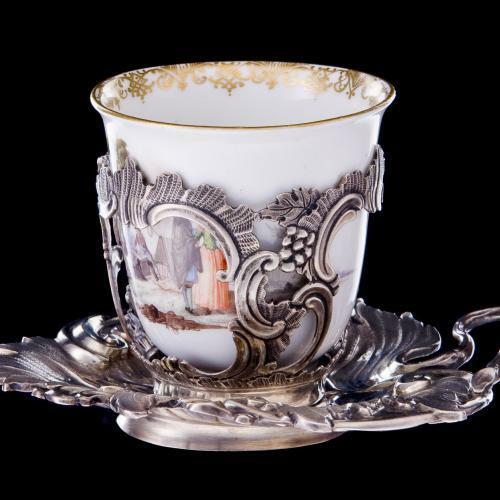 A similar example exists in the National Museum of Scotland.